Hengda is a full service manufacturer of sheet metal via processing of perforating, also expanded metal and fabricated perforated metal products for various uses. 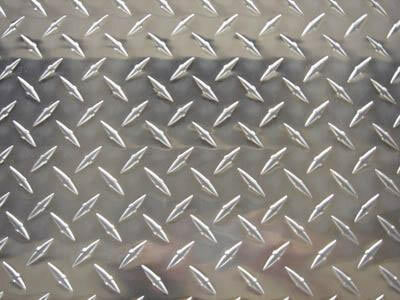 Perforated metal is a kind of sheet metal usually made with styles of perforating, embossing, slotting or checkered plates. The process of creating perforations is called perforating, which involves puncturing the workpiece (usually a thin metal sheet) with a tool. Slotted perforated metal is a sheet or coil of material made from metal that contains holes punched by a die. Embossing is a metal forming process for producing raised or sunken designs or relief in sheet material. Checkered plate, also known as Diamond plate, is a type of light-weight metal sheet with a regular pattern of raised diamonds or lines. Stainless Steel SUS 304 and 316, Galvanized Steel, Carbon Steel, Aluminum, and all types of metals. We can manufacture a wide rang of metal sheets with thickness verifying from 0.35mm to 3 mm and width maximum 1200mm. Length is the overall measurement of the long side of the sheet. Width is the overall measurement of the -short side of the sheet. The standard sheet size is 1000mm*2000mm. and 1000mm*2500mm. The coil width 1000mm is also available. We also can process the special product for your requirement. Round, square, long round, triangle, scale, diamond, oval, hexangular, slot etc. In general it is advisable to use a hole size larger than the material thickness. The closer the hole size and material thickness come to a 1 to 1 ratio, the more difficult and expensive the process is. Dependent on the material type, smaller hole size to material ratios can be achieved. The minimum diameter we can fabricate is 0.8mm to 4 mm thickness . If you require a die that isn't already in our die bank, our experienced tool and die makers can quickly make exactly what you need at a reasonable cost. We offer perforated sheets with more options and less cost. Equipped with computerized-programmable feed systems, we will expand your custom design options. Round, square, oblong, triangle, slot, hex, oval, diamond and a broad variety of special shaped holes. We have tooling available for many different hole patterns and shapes. It is more economical to choose one of the available patterns, although special hole sizes and patterns can be accommodated at additional cost. Open area is the total area of the holes divided by the total area of the sheet and is expressed as a percent , Keep in mind that punching holes in a material add stresses that can result in distortion of the product. The higher the open area, the more material distortion takes place, especially when the perforated pattern is bordered by margins on all four sides. But these distortions can be removed by our special in house leveling process. There are tolerances on thickness, pitch, openings, flatness, and shearing for perforated products. You should specify a specific tolerance ,so we can give you a precise product. If not, we will according to standard tolerance. Quality and Control: We utilize first-class software to plan, schedule, track and report each job that flows through our plant. It manages the life-cycle of quality control and continuous improvement events. Capabilities: We can supply you with various perforated sheets as well as finished perforated metal products such as filter tubes, security screen, etc. We are committed to producing the highest quality parts on time and at a competitive price. We have over 10 years of manufacture experience Our products consist of perforated metal sheets, perforated screen, perforated panels, tubes, architectural mesh, expanded metal, perforated metal and expanded metal machines. We have also developed new types of metal sheet products, Slotted Liner and Bridge Slotted Screen Pipe, mainly for sand control in water wells and oil wells.Hengda perforated plate can be punched into discs for filter elements and metal sheet sieves for testing and laboratory analyzing. 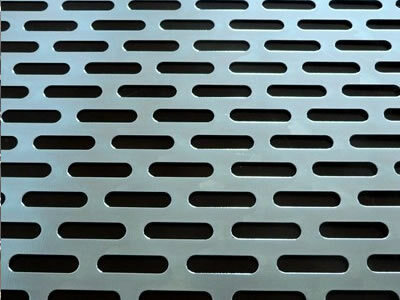 2014 New Product: We can supply perforated metal vent grille covers in various shapes, sizes, hole shapes and styles. Hole shapes can be round, diamond or decorative designs. Uniform sheet thickness, hole sizes and a wide choice of finishes to fit different architectural design requirements. 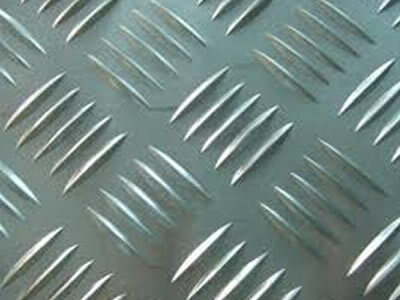 Perforated Metal Angle Beads: Offering More Precision in Uniform Surface Plastering compared with expanded metal beads. Good shaping and trimming function. Designed for wall corners plastering and reinforcement. Used against chipping and cracking of wall construction. Mostly made of round hole perforated stainless steel, galvanized steel or aluminum sheets. Slotted Filter Sheets: A kind of precise opening perforated filter products. 316 stainless steel material. Supplied in slotted sheet form, or fabricated tube or other filter forms. 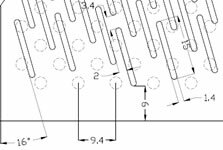 Detailed drawings with technical parameters such as slot width, length, tolerance, sheet thickness are welcome with your order. 2015 New Products! 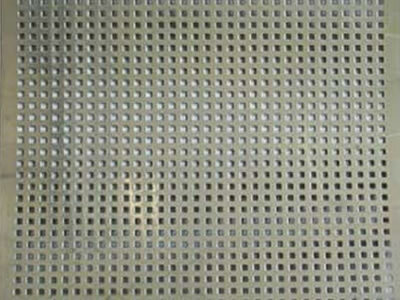 Perforated Screen in Stainless Steelused as Polisher Screen, Grader Screen, Hammer Mill Screen for Corn / Grains Milling. Oblong holes. With or without shielding according to specific uses. Stainless steel 304 or 202 grade is chosen depending on different hardening consideration of work condition requirements. Windproof Perforated Metal Nets:Unlike plastic wind netting for agricultural uses, Perforated metal wind-breaking nets have peaks and lower area. Punched with big and small holes in different parts of the sheet. It is strong and can be used to protect the environment from strong winds and dusts especially in sandy areas and highways where there is high speed winds. 2016 New Products: Stainless steel perforated sheets with embossed round holes welded to form tubing for protection sleeves uses. Material grades can be SUS304, 304L, 316L, Monel Steel, Inconel, Hastelloy, Aluminised Steel and Galvanised Steel. Hole patterns can be popular round or square holes. Gauges varies. Full perforated with a full end at one end or other choice depending on specific filter requirements.